The UK's upland and lowland farmers say what they need most is some confirmation about post-Brexit trade. Once the UK leaves the EU, it's not yet clear what our trading relationship will be with our biggest market, the European Union. 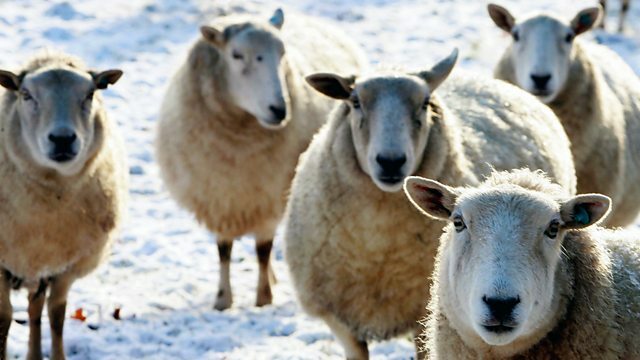 One sector watching proceedings closely, is the sheep industry - which we're talking about all this week on Farming Today. In 2017 the value of mutton and lamb production in the UK was £1.2 billion and 2017 was a bumper year for lamb exports. Up to 40 per cent of UK lamb is exported, the vast majority to the EU - so a no-deal Brexit would throw that market into doubt... Caz Graham reports from Cumbria, on how upland and lowland sheep farmers are feeling. Natural England, the body responsible for protecting the country's natural environment, is looking for a new Chair - and yesterday the Environment, Food and Rural Affairs Committee held a pre-appointment hearing with the Government’s preferred candidate, Tony Juniper: a long-standing environmental campaigner and former Green Party candidate. Earlier this month, we reported that Prospect - the main union representing Natural England employees - said the body no longer had the resources it needed to do its job; and that years of funding and staffing cuts had pushed it to “crisis point”. Natural England told us things weren't as bad as Prospect claimed - but admitted there were some issues to overcome. So how would Mr Juniper approach the role? Lucy Taylor finds out. The last four weeks has seen a big social media push for 'Februdairy' by the industry: with farmers showcasing their herds and promoting the benefits of dairy products. Anti-dairy campaigns have focused on what they’ve dubbed the ‘darker side’ of the business: which includes the removal of calves from their mothers shortly after birth. Cows need to give birth in order to lactate; once the calf is born it's usually removed within a few days and bottle-fed, so the mother’s milk can be collected for human consumption. In response to accusations that this system is cruel, a number of smaller dairies have started practising ‘cow-calf dairying’ – where the calf suckles its mother until it’s naturally ready to leave her. Emily Hughes visited Sam Bullingham from Taw River Dairy, to ask whether the system can work financially on this scale.